I have set foot in this place at least four times in my life. Not as a director, producer, actress or performer because those are so not up my alley, but as a ardent supporter of the annual hall productions back in NTU Hall 6. Yesterday was the first time I returned to this place after becoming a mum. After having watched productions like Gruffalo's Child and Rapunzel, I realised that the girls enjoyed theatrical shows immensely and even gain new insights from them. 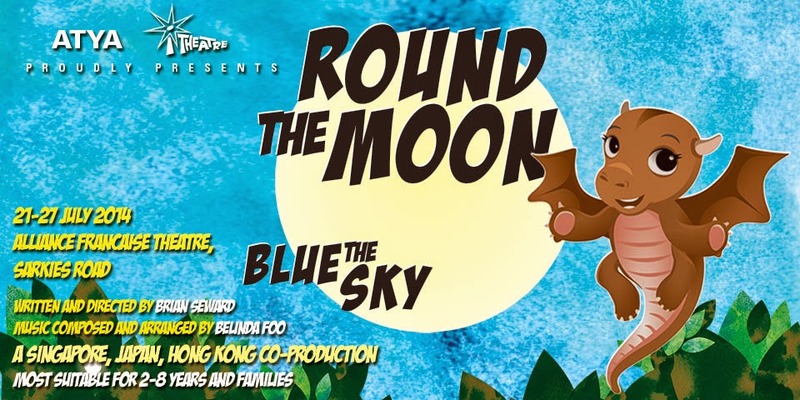 So, it was definitely a delight for us when we were invited to watch Round the Moon, Blue the Sky - a special collaborative project between I Theatre and Asian Alliance of Theatre Festivals for Young Audiences (ATYA) which features a cast from Singapore, Hong Kong and Japan. Our favourite character is Smallest Dragon, the main protagonist of the show, who is always on the go, asking questions, poking her nose into things and is curious about the world. Her world is a world of wonder where everything seems a little magical - you can find magic in colour, shapes, behaviour, geometry and all the different meanings behind them. For instance, she discovers that leaves are not always green, they can be red or brown too. The moon is not the only thing that is round, so are bubbles, circles and many other things we can see around us. One thing I love about such productions is that they always feel very lively, engaging and interactive. The cast will ask questions, let the audience help them to spot things and even get volunteers to go on stage - which is something really enjoyable and fun for the little ones. My favourite part of the show was the black light magic when the lights went out and you could see the moon, stars, fishes and birds that could seemingly glow in the dark. As for the kids, Angel was a little shy initially and was totally scared when Smallest Dragon jumped down the stage and touched her golden shiny shoes. Not to mention that we were seated right in the first row. However, she soon warmed up and enjoyed shouting out the answers with the rest of the kids whenever the cast posed a question. As for Ariel, she freaked out a little when we first went into the dim theatre and she saw the colourful stage setup - and a dragon. Luckily, she calmed down within seconds and although she had to hold onto my hair for assurance, her eyes were glued to the stage from start to end and she had an absolutely awesome time too. Why is the moon round? Why is the sky blue? My dears, I hope you will never stop asking why, how and what. 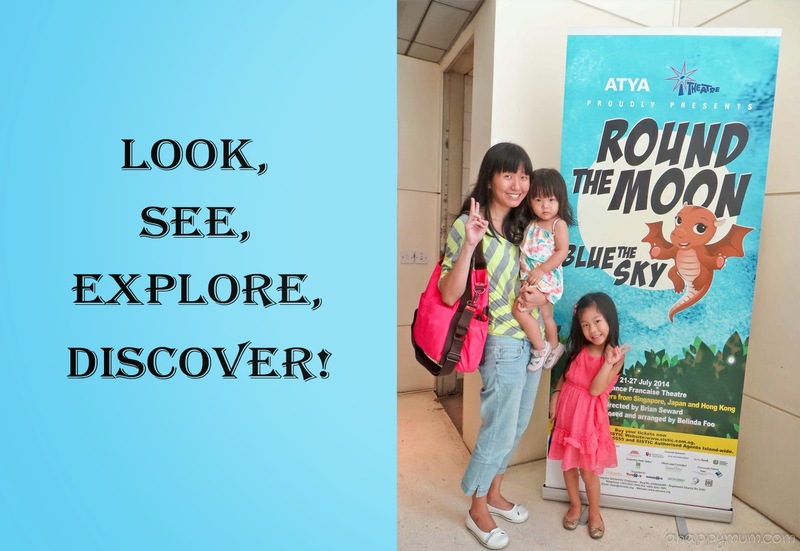 A show which encourages kids to look, see, explore and discover the world around them, to be receptive to new knowledge and findings, to not solely depend on books or school for the answers to everything but to instead seek and uncover on their own, I think this positive underlying message is great for the young ones. For me, I do wish for my kids to never lose their sense of curiosity, their courage to explore and their ability to discover. Although the show is targeted at children from 2 to 8 years old, I do think it might be a little slow-moving and straightforward for the older kids but for those who have kids below the age of 6, this will definitely be a great show to watch as a family. 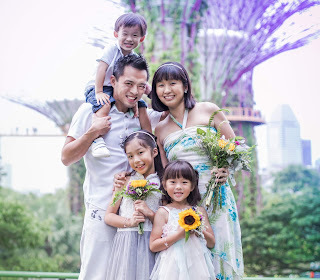 Pricing: $30 per person, $114 for family package of 4. Infants are allowed but require a valid ticket. Booking fees are not included in the prices. 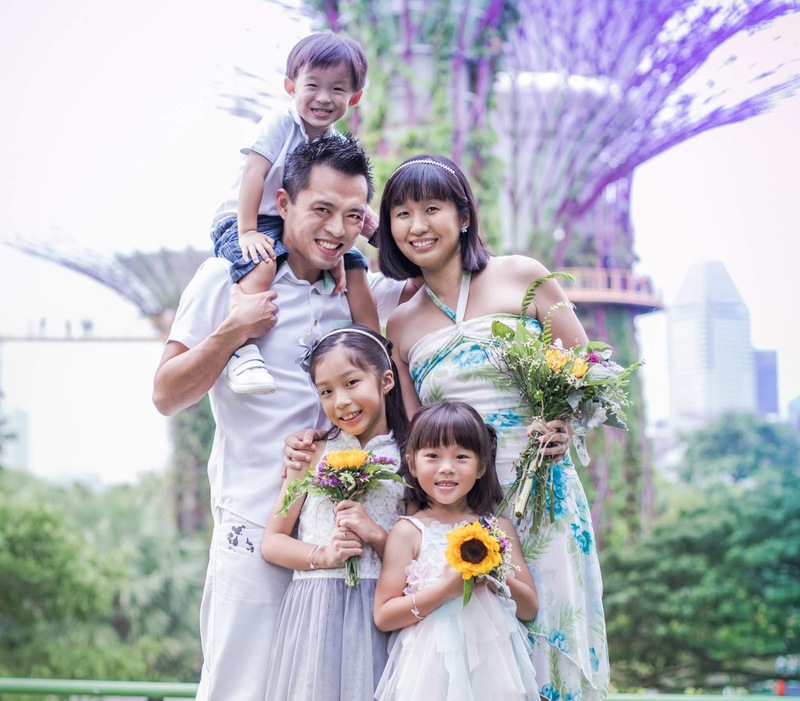 Tickets are sold at all Sistic outlets and at www.sistic.com.sg. Disclosure: We were invited iTheatre to watch Round the Moon, Blue the Sky for review purposes. All opinions are my own.